For awhile, I’ve wanted ceramic measuring cups for dry baking ingredients. And so, I’ve finally bought myself a set of polka dot ones and I couldn’t be more excited to use them. This is all part of a larger quest to rid my kitchen life of plastics. 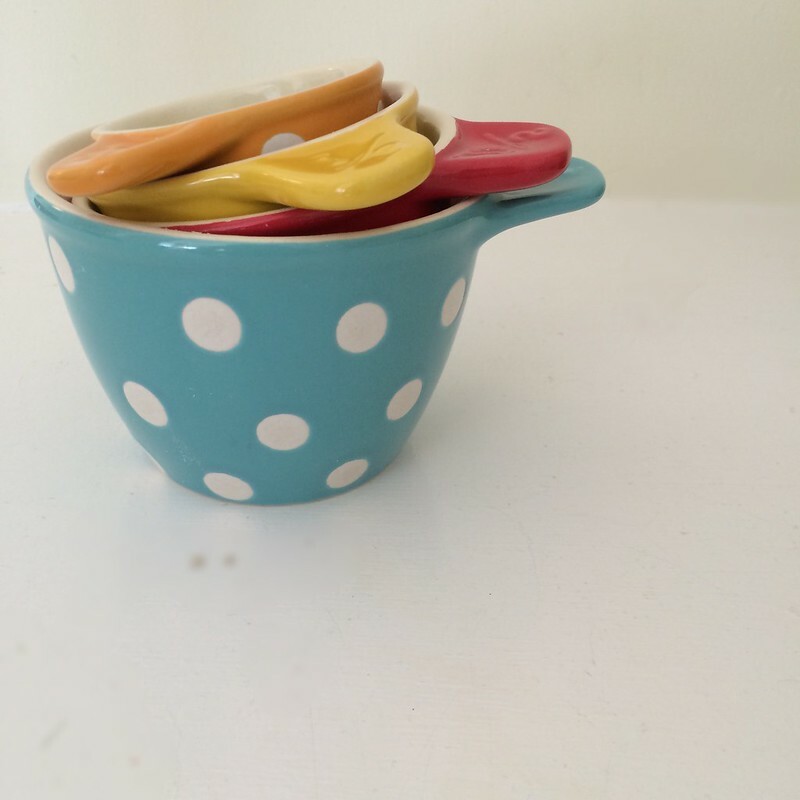 Do you have ceramic measuring cups? Do you feel like you are baking in luxury? thanks! also thanks for reading!